This spoon is in our studio and ready to ship for free! Free domestic 1st class shipping on all orders! 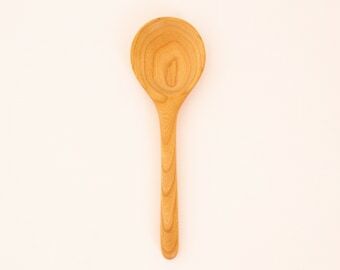 Wooden large cooking and baking spoon handmade in rose-colored cherry with a sturdy handle and large bowl for mixing stiff batters, dough, and canning. 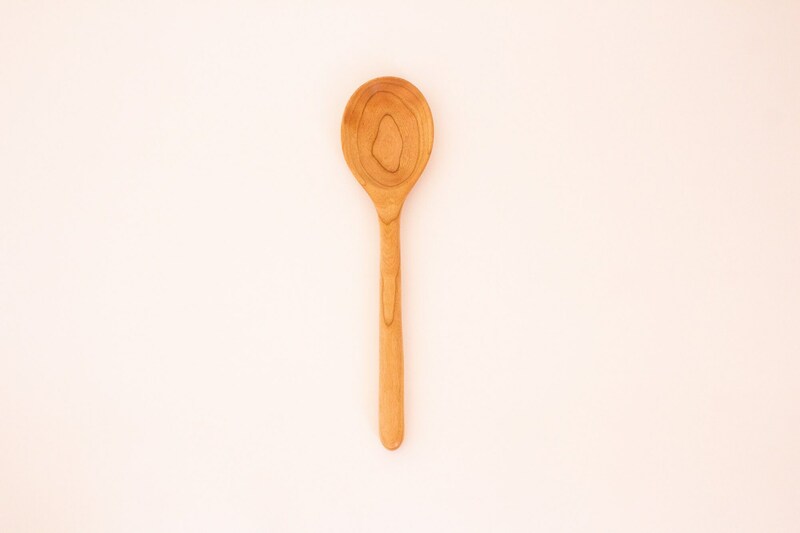 We sand our spoons super smooth and finish them with food safe flaxseed oil for a beautiful finish. 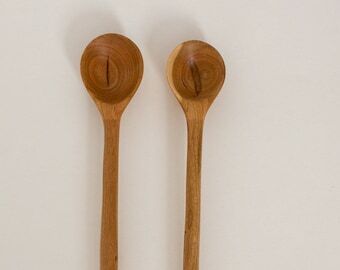 These are one of a kind hand carved spoons from local hardwoods. Heirloom quality. Great gifts. Bowl Depth (approximate): wood 5/8" bowl 1/2"